At Watkins Family Dentistry in Elkhart, IN, we are committed to keeping our office up-to-date with the latest dental technology. 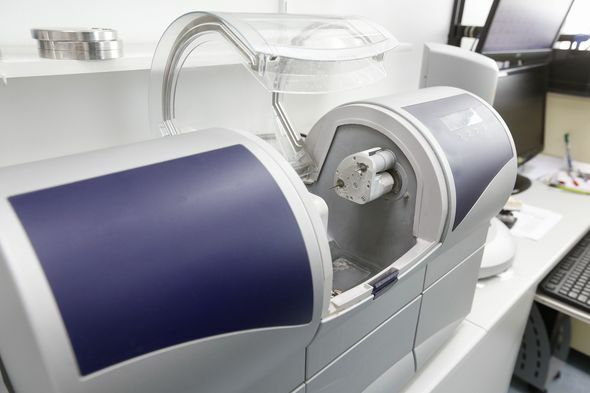 From our advanced CEREC® system to our 3D Cone Beam CT Scanner, we have the state-of-the-art tools to provide accurate diagnosis and effective treatment. Dr. Bruce Watkins understands the importance of maintaining a technologically advanced office and works hard to ensure that every tool used in our office provides proven benefits. Our team uses advanced tools to provide quality, comprehensive dentistry in a caring environment. We invite you to learn more about the advanced dental technology at our office. CAD/CAM stands for computer-aided design and computer-aided manufacturing. This system allows our team at Watkins Family Dentistry to create a variety of dental restorations, such as dental crowns, in our office without using a lab. We can take digital scans of your smile, design your restoration, and mill the final piece at our practice. Chairside Economical Restoration of Esthetic Ceramics, or CEREC, is a CAD/CAM system from Dentsply Sirona. This advanced technology is highly efficient and can create a range of restorations. For many patients, we can use our CEREC system to design, craft, and place a restoration in a single appointment, saving you time and money. With our Moonray Digital 3D Printer from SprintRay Inc., we have the ability to print models, surgical guides, and other useful tools in our office. This precise, flexible device can improve the quality of dentistry we can offer. For example, we can take digital scans of your smile and print a surgical guide, making procedures like dental implant surgery safer and more accurate. At Watkins Family Dentistry, we invest in advanced technology to ensure we have the best tools available to protect the health of your smile. Cone beam computed tomography (CT) is an unique type of scanner which produces three dimensional images of your teeth, soft tissue, nerve pathways, and jawbone in a single scan. 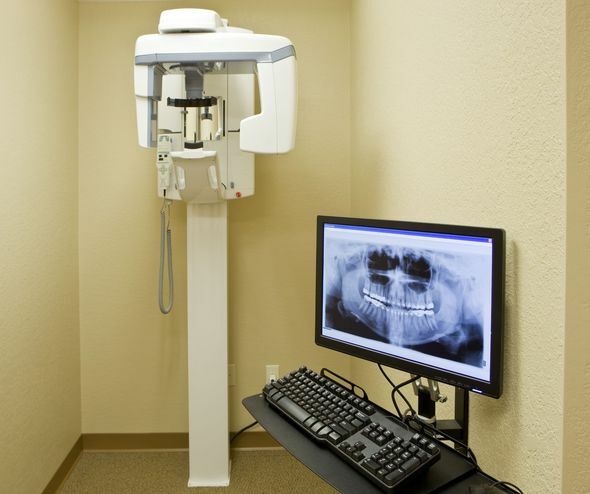 A cone beam CT scan results in a detailed view of your teeth and the other supporting structures of your smile, allowing Dr. Watkins to precisely plan your treatment. In addition, cone beam scanners reduce the number of x-rays required, minimizing your exposure to radiation. Detecting oral cancer early is essential to effective treatment. At Watkins Family Dentistry, the advanced Sapphire Lesion Detection system has significantly improved our ability to catch early signs of oral cancer. This device provides enhanced visual information to help identify oral lesions which are not apparent to eye alone. Dr. Watkins can use our Sapphire system during your regular exams to protect against oral cancer. At Watkins Family Dentistry, we invest in advanced technology to ensure we have the best tools available to protect your health and smile. With a wide variety of advanced technology and techniques, we offer a comprehensive range of dental procedures, from dental implants to cosmetic treatments. For more information about our services, contact our office online or call (574) 293-9832 to speak to a member of our caring team today.